The uproar this week over Chinese Internet search engine Baidu.com's (BIDU) pharmaceutical paid search listings and advertisements gives further reason to believe that stock analysts should drop the "yst" from their monikers and Baidu's management should be hung out to dry. The problems appeared when China Central Television aired a report on November 15, 2008 that Baidu was being used as a platform for unlicensed pharmaceutical companies to sell their medical wares. Then Chinese media exploded with more related news this week — taxis in Shanghai were filled on Wednesday with radio reports and Internet message boards were buzzing with chatter throughout the week. Unknown to stock watchers blinded by the myth of great Chinese Internet expectations and equally refined public relations exercises, Internet medical advertising problems have been brewing for a long time. Issues surrounding medical advertising and sales of drugs online are definitely not new in China, and any stock analyst worth their bedpan in gold should have known this. It's common knowledge within the industry that pharmaceutical Internet advertising of any kind — even from licensed medical businesses — is tough (i.e. potentially illegal) to do in China. So why all of a sudden are analysts worried about a 10-15% drop in revenue from illegal advertising? Shouldn't they have been prepared? Baidu's CEO Robin Li said this week there will be negative short-term impact for the search engine company — these illegal ads comprise up to 15% of Baidu's total revenue. Any stock market analyst covering Baidu.com could have gone to the Baidu.com search engine website in recent months and seen that there were many drug-related ads, and they should have been aware of the problems inherent in those ads. Those analysts should have known that in March 2008, China's State Food and Drug Administration exposed 25 websites that were involved in illegal selling of medicines. These websites included the fake websites of the Diabetes Treatment Center of China TCM Higher Medical Institute, the Diabetes Treatment Center of Chinese Herbal Medicine Research Institute, China Diabetes Recovery Website, International Beijing Chinese Herbal Medicine Diabetes Research Center, Beijing Chinese Herbal Medicine Research Institute Liver Disease Recovery Center, the fake Chinese PLA 301 Hospital, China Chinese Medicine Research Institute, China Chinese Medicine Research Institute High Blood Pressure Research Center, State Dermatosis Clinic Study Institute and China Chinese Medicine Difficulty and Complicated Disease Research Center. At the time, Zhang Jingli, deputy director of SFDA, said these websites fabricated medical institution names to release fake medicine information and to sell fake drugs. Zhang said the SFDA would work with China's Ministry of Industry and Information Technology to check and punish them. But since then, even more unlicensed websites have risen to fill the need for medicine buyers and search engine Baidu.com seems to be their advertising platform of choice. By the end of 2007, China had approved a total of 1257 websites to provide online medicine services, but only 14 websites to deal with some sort of online drug sales. Of those, only seven websites were allowed to sell non-prescription medicines to consumers. Zhang said earlier this year that consumers could log onto the official website of SFDA to confirm the qualification of those websites and they could report to the local food and drug departments in China once they've found some illegal sellers. While it's impossible for a stock analyst to verify the qualifications of all advertisers on Baidu, it should have been known that as of the beginning of this year websites of pharmaceutical companies such as Beijing Jingwei Drugstore, Beijing Jinxiang Drugstore, Shanghai Drugstore and Liaoning Shengsheng Drugstore were some of the only ones authorized to sell non-prescription medicines, ointments, and pharmaceuticals in China. ChinaTechNews.com reported on these issues a few times already over the past year. What troubles us most is the extent to which analysts would worry about this pharmaceutical issue and the subsequent impact on the stock, but not react so negatively to other illegal issues surrounding Baidu.com. Since the start of trading on November 17, Baidu.com's stock price has plunged over 37% to end at USD111.74 on November 19. Compare that drop to when Baidu.com was accused of illegally providing links to music and video downloads earlier this year. The stock rose and peaked at USD361.81 on June 5, 2008, just a few days after word leaked that the Music Copyright Society of China and the International Federation of the Phonographic Industry called on advertisers to boycott Baidu.com for its illegal download links. Analysts seemed not so disturbed with online music downloads. Maybe it's because Zheng Xiaoyu, the former head of the SFDA, was executed earlier this year after an explosion of pharmaceutical scandals, but no online music downloading fool has yet to see the open muzzle of a gun. Should there not be similar shareholder outcries over these issues? Do we not see the same reaction because shareholders fear an unlicensed medicine seller can physically harm a sick person, while the only obvious entity hurt from illegal download links is an international media company? If that is true, at least we know that shareholders and analysts have hearts, but maybe not brains. The management at Baidu.com is ultimately to blame for these issues. They knowingly took money from these unlicensed businesses, they purposely did not previously report these potential pitfalls to investors, and their cry of mea culpa is too low and not good enough. In May 2008, China's Ministry of Commerce drafted and solicited comments from the public on two new rules: the E-commerce Pattern Regulation and Online Shopping Service Regulation. The regulations state that e-commerce platforms must not provide services to unqualified or unlicensed businesses such as those that sell harmful and hazardous goods, and they specifically must not deal with special goods like pharmaceuticals and medical instruments. 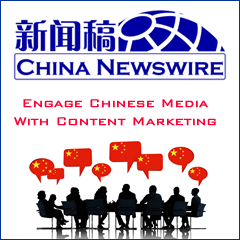 We knew about these impending rules at ChinaTechNews.com. Did Baidu's management not know about them? Who is manning the helm at Baidu.com? We asked the same questions eighteen months ago when the stocks of Chinese Internet companies like Sohu.com, Linktone, Sina.com, NetEase.com, Tom.com, Hurray, and KongZhong plummeted because word got out to the foreign shareholders that the wireless revenue from these companies was being buttressed through illegal means. 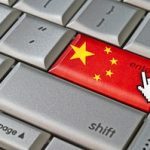 The Chinese government agencies overseeing the Internet sector swiftly created rules and regulations that banned wireless spam and other illegal revenue-generating methods. But the management at these Chinese Internet companies knew for years beforehand that they were generating potentially illegal revenue; Chinese media covered small bursts of consumer complaints about these issues but it took a while for momentum to build. In the meantime, analysts were bullish on these stocks usually solely because of the perceived long-term growth of the wireless revenue. We now all know now very clearly that it was a myth and wireless advertising revenue in China is difficult to create. Where was management then? Within the last few weeks, Baidu.com has committed to be a member of the United Nations Global Compact to boost its daily management of corporate social responsibility. Did it forget its CSR principles when it took the money from unlicensed pharmaceutical advertisers? Robin Li stated in his commitment letter to join the Global Compact: "We are committed to making the Global Compact and its principles part of the strategy, culture and day-to-day operations of our company, and to engaging in collaborative projects which advance the broader development goals of the United Nations, particularly the Millennium Development Goals. Baidu will make a clear statement of this commitment to our stakeholders and the general public." When first reporting on Baidu's commitment to the Global Compact, ChinaTechNews.com stated: "How Baidu's business processes will change now that its has committed to such other lofty universal ideals as 'respect [for] the protection of internationally proclaimed human rights' is mostly unclear." Now we know. Now we know that it takes a great media watchdog like CCTV (who would have believed it!) to uncover these issues before Baidu is willing to own up to them. What would have happened had there been no media report? While we do think that overseas investors and analysts have phenomenally overreacted to this issue — and they truly fail to comprehend the tricky issues waiting still to be uncovered in most advertising-driven businesses operating in China — we do think that the ultimate beneficiary of all this hubbub is the Chinese consumer, who has suffered enough the past year through medicine, toy, and milk recalls. Once again, the media has provided a counterbalance to the "running dog" greed of big businesses like Baidu.com. Disclaimer: Nobody at ChinaTechNews.com currently owns any securities mentioned in this commentary. And nobody at ChinaTechNews.com has held any positions, long or short, on any of these securities within the last six months. Kudos to you for stating what needs to be stated about this issue. There are many more skeletons I bet in Baidu's closet! Bring it all on! Great ex post facto criticism but if it was so obvious to you that there was a risk to revenues it would have been much more helpful if you voiced it previous to the stock blowing up. How much money did you all make shorting the stock? Really, if you think you can do a better job than most analysts then maybe you should get into the business because there is always ready buyers for good research. Being the first one to expose previously unknown risks can make an analyst's career these days. Just ask Meredith Whitney. @asiequana: nobody at ChinaTechNews.com has held any positions, long or short, on any of these securities within the last six months (actually more like within the last 5-6 years). There is no such thing as good research. Research is filtered, and in China it is sometimes skewed because analysts and research organizations that operate in China have hidden stakes in certain businesses — trust us on that. Stock holders need to vet and filter their own data when dealing with China, but hopefully ChinaTechNews.com can help provide some of that information. We have been publishing for 9+ years, and the model seems to work. Thanks for the analysis. Just one point, on why the market reacted to the med/pharm scandal but not the music scandal — perhaps because CCTV reported on the former, but not the latter, and as the national broadcaster reaches over 80% of the population, a majority of whom are not yet Baidu customers and may be swayed to use Google.cn after this. Whereas the internet reports on illegal music downloads and website blocking are read by only a small % of people, most of whom are prob savvy web users who download illegal music themselves. What are your thoughts on how real is the potential for the music scandal and other user complaints about Baidu to blow up to the scale of the med/pharm issue? You should have written this LAST week!! The devil is in the details and I appreciate your thoughtful analysis. I would like to also hear what you think about how the economic problems will impact small and medium businesses who use Baidu.com for their advertising and the effect that will have on their subsequent quarters. Baidu's ultimate test in China will be to see how they can maneuver their way through the looming financial crisis without allowing quality and advertiser oversight to take a backseat to making money when everyone is scrambling for money. Thank you for the great background on the advertising search engine situation with them in the past but can you give any prediction on how they will change their ethics and still continue to make money in 2009 and 2010?